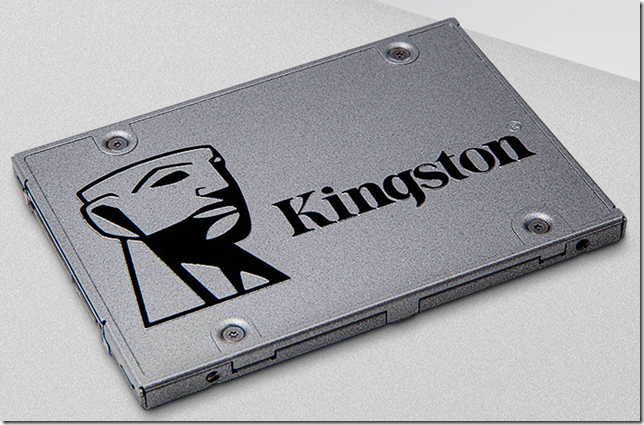 As per its perfect transmission performance, SSD now widely accept by pc users, HDD market comes to be smaller and smaller. Other than HDD’s single interface type, SSD has different types, here let’s learn the four main interface type. In most people’s minds this is what an ‘SSD’ is. It predominantly comes in 2.5 inch flavors up to ~4TB, but this capacity barrier is regularly increasing. 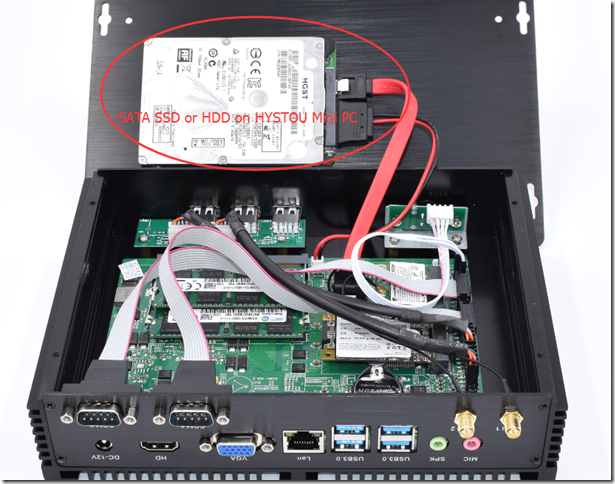 Connectivity and protocol is uniformly SATA III up to 6Gbit/s (which equates to around ~550MB/s real-world) and it enjoys the maximum compatibility across all motherboards and gaming notebooks. 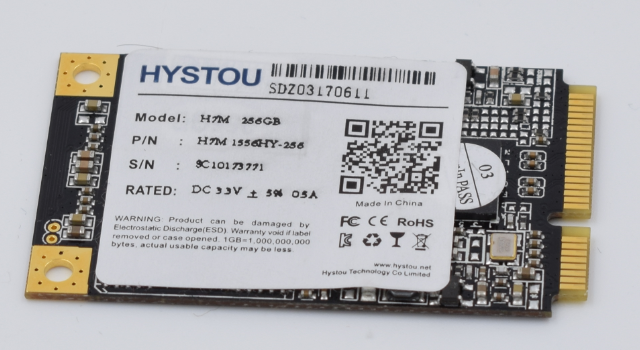 All HYSTOU Mini PC support this kind SATA SSD, but to give more choice for users, HYSTOU Mini PC seldom use 2.5 inch SSD, instead, it use mSATA SSD. 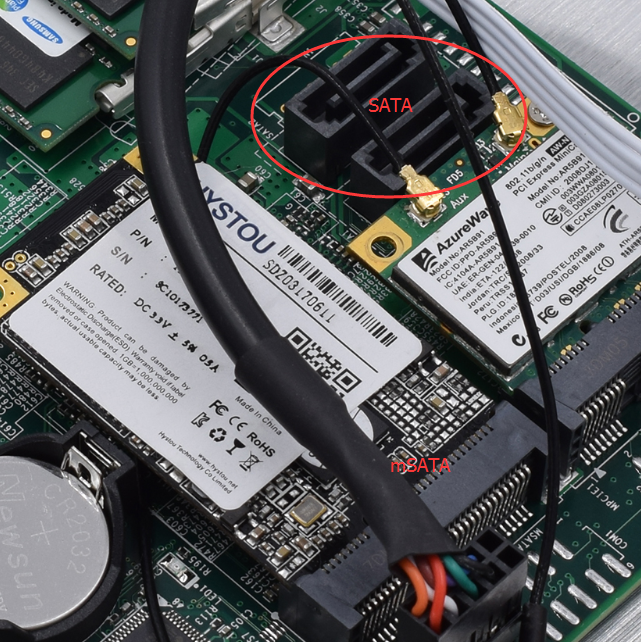 The mSATA (mini-SATA) interface appeared briefly for a generation of motherboards and notebooks recently. 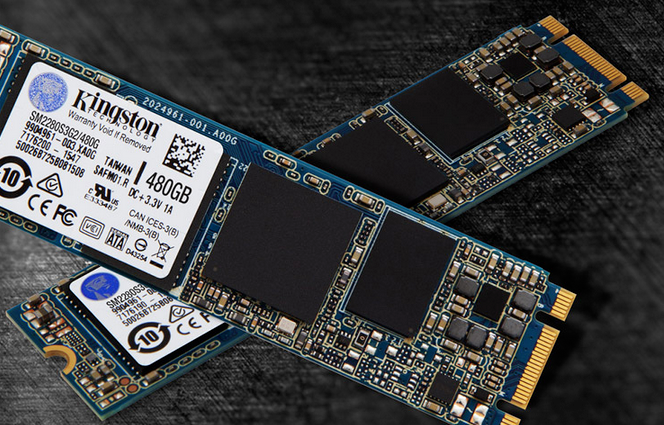 mSATA SSDs follow the SATA specification, offering a maximum performance of 6Gbit/s and look much like mini-PCI-Express devices, but the two connectors are not inter-compatible. 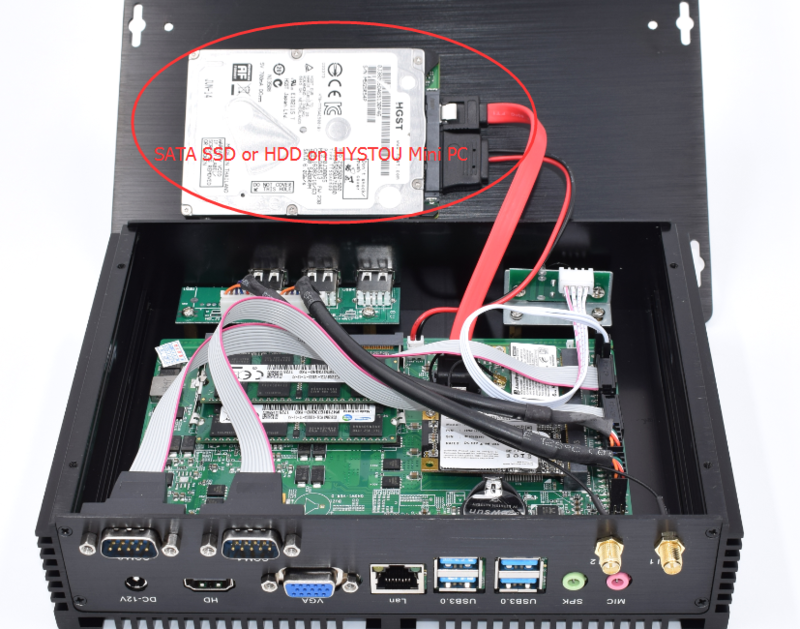 Currently HYSTOU Mini PC all come with this mSATA slot and also SATA port shows above, as many users would like to use SSD only for system and programs, they prefer HDD for file saving, so to give those users freely choise, all SSD HYSTOU supply is mSATA style, leave the SATA port emplty for users personaly DIY use, add SATA SSD or HDD, just as you like. Due to the requirement for a PCI-Express connector, these are exclusively used in PCs. Usually they require 2x or 4x PCIe slots, but some server/professional versions offering top-level performance and features beyond gaming/desktop use require even larger 8x slots. PCI-Express SSDs are attractive because they break the boundaries of SATA III’s ~550MB/s: with the ROG RAIDR Express topping 780MB/s, for example. 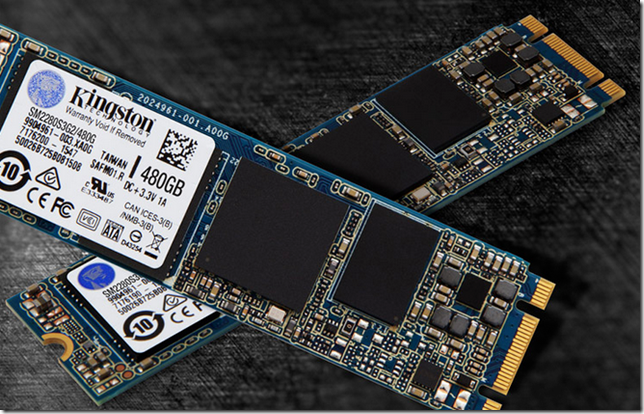 As long as you have an available 2x or greater free PCI-Express slot in your PC, a PCI-Express SSD will fit and work without worry. 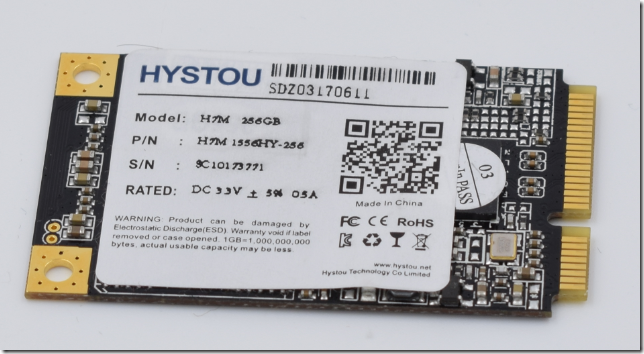 HYSTOU mini pc is under the way to adding m.2 SSD soon, right now not yet adopt.